We're honoured to receive two Honoree Awards from Interior Design Magazine! 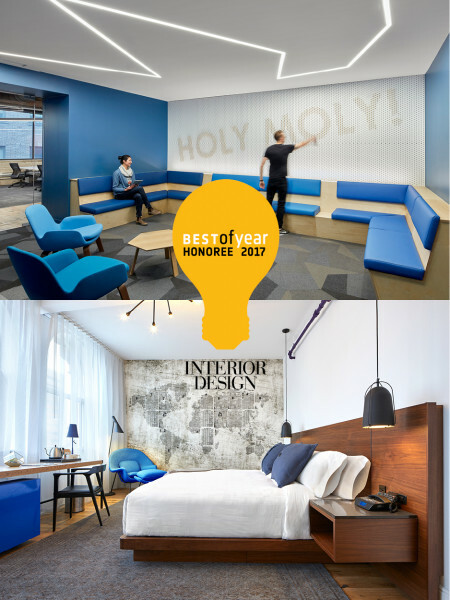 The Walper Hotel with Jill Greaves Design Inc and Dialogue 38 is an International Boutique Hotel Honoree, while Slack's Toronto office is a Mid-Size Tech Office Honoree. Thanks to our clients, collaborators and contractors for their efforts.